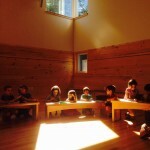 The Friends School of Portland, an independent K-8 learning environment centered on long-held Quaker-based standards and beliefs was founded on principles of peace, inquiry, simplicity and stewardship. 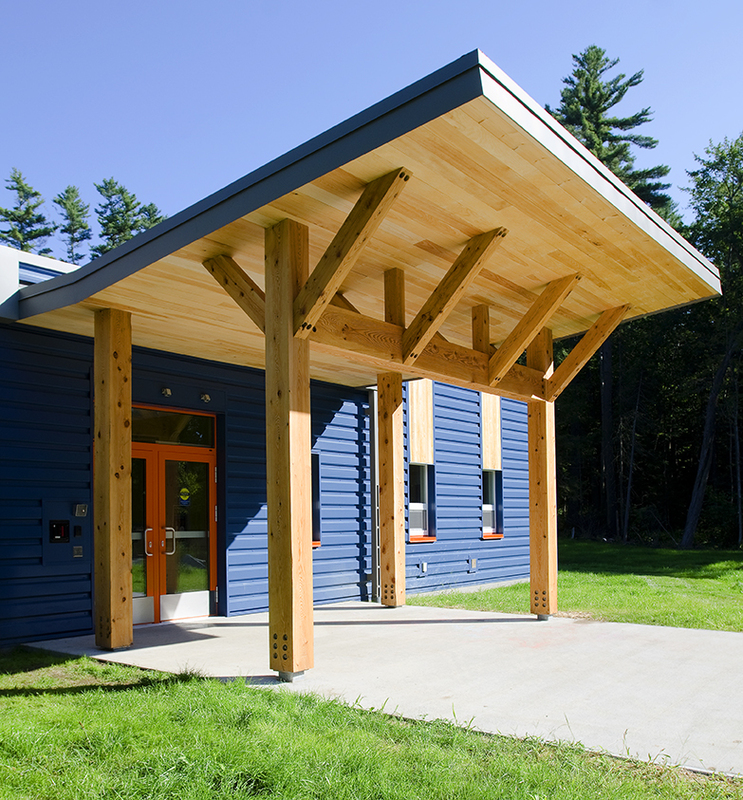 Moving from a vibrant, island location to a wooded, 25-acre lot, there was a challenge to maintain the strong connection to the outdoors, especially for a school where the outdoor experience is part of their everyday learning program. Requirements were strong integration with the landscape through multiple, direct connections to outdoor spaces, use of natural and potentially indigenous materials, and the elimination of fossil fuels. 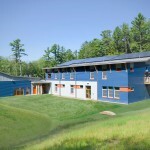 Could this school be an example for kids as to how all building must be constructed in order to combat climate change? 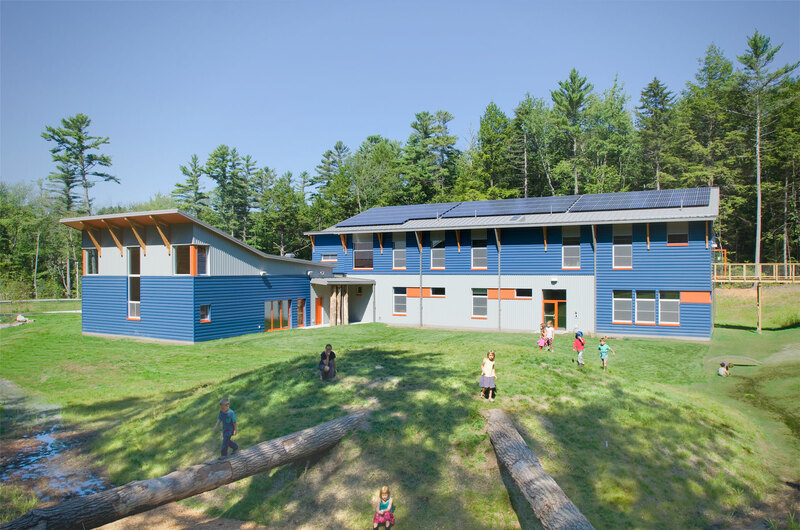 The new school is to generate 100% of its own energy on site through photovoltaic panels, reducing future operations costs dramatically and reducing endowment dependence. 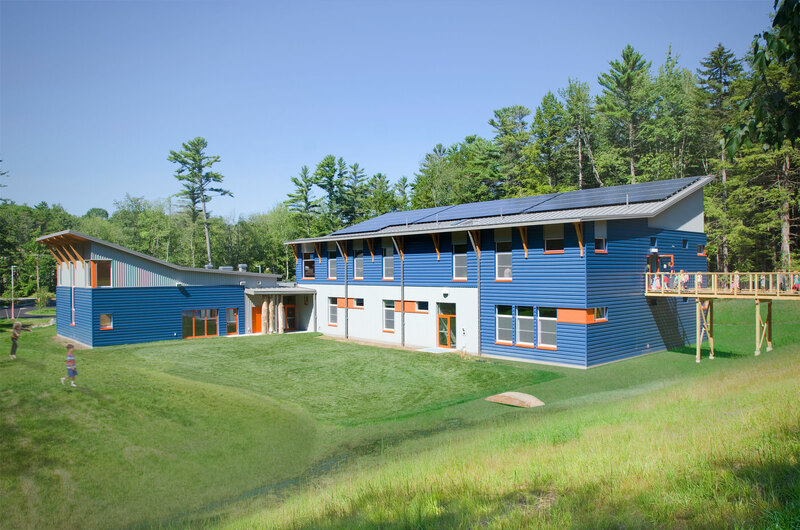 As this is the 3rd Passive House-Certified School in the country, it will attain extreme durability and comfort, and a 90% reduction in energy use. 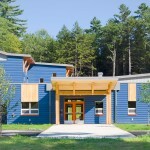 High-performance building assemblies have been used throughout and mechanical systems have been significantly reduced, as well as the related maintenance costs, in this all-electric building. Most exposed interior wood was harvested directly from the site, some in lengths of up to 24 feet. 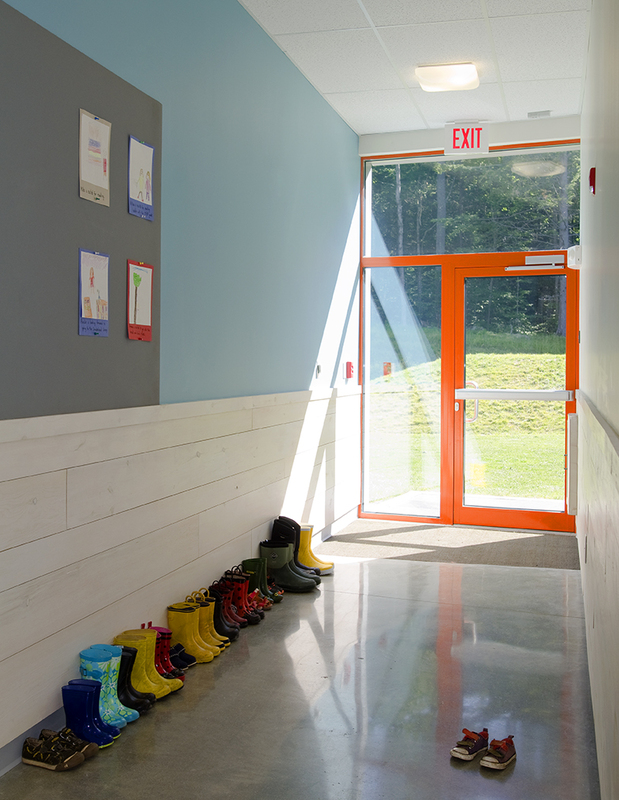 This wood runs throughout the school and into the primarily day-lit classrooms. 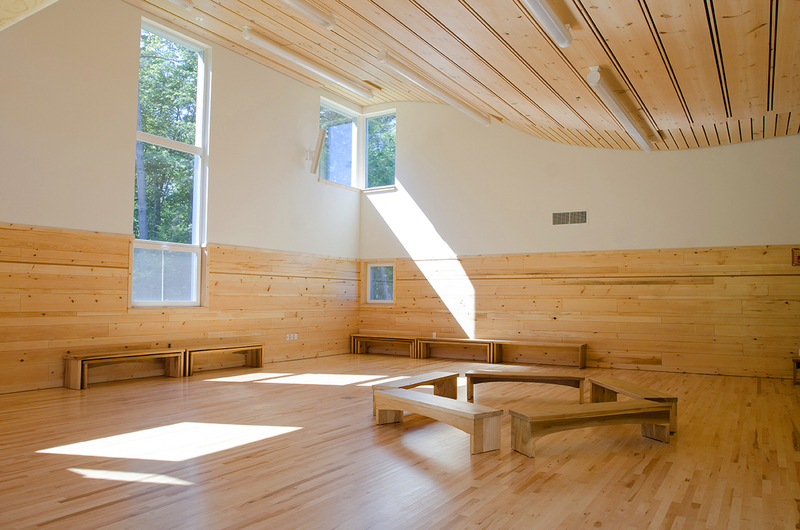 The Big Room features walls and an undulating ceiling of site-harvested wood, which lifts your eye and spirit toward the sun as it streams through the trees along the creek to the south. A 12-wide door opens onto the amphitheater for outdoor performances. A bridge connects the upper level to a playfield to the east. The building has achieved a 0.32 ACH50, almost twice the required airtightness. Additionally, it has achieved an annual heating demand of 3.62 kBTU/SF/YR, exceeding the Passive House requirements with room to spare. 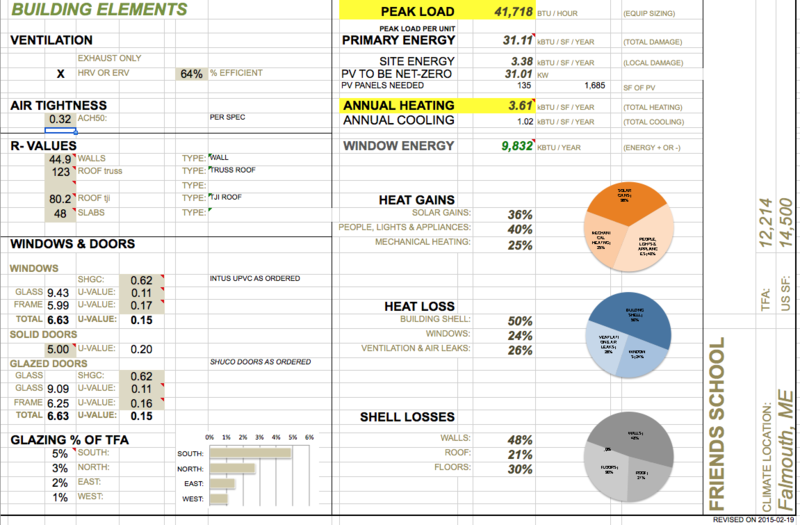 Its 36 kW of PV should be sufficient to achieve net zero energy, given the 31 kW modeled. 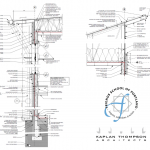 The Town agreed to alter building height requirements to allow for enough solar gain with less tree cutting for this project. 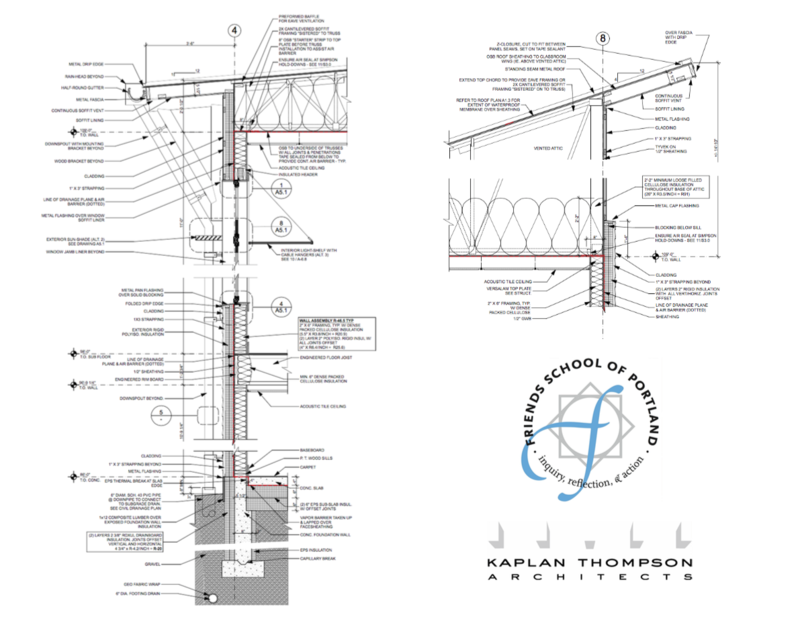 The form was a direct result of the need to be net zero on a tight site, including negotiations to minimize/reduce parking. 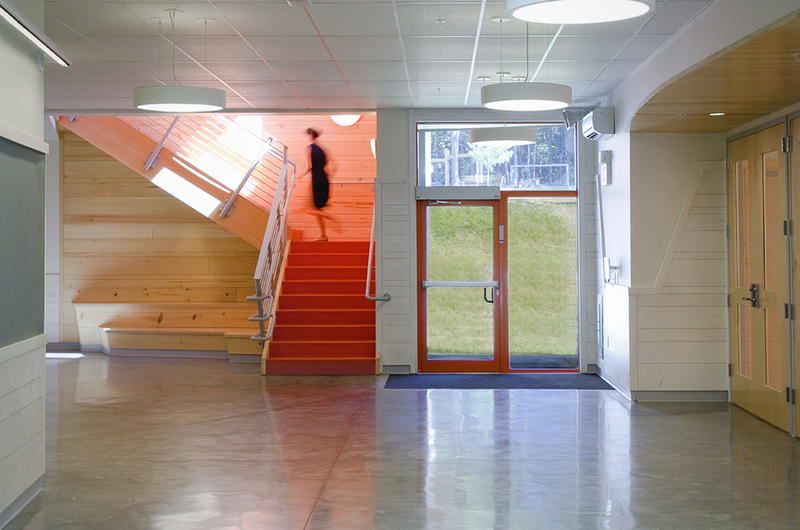 All exposed wood on the walls, ceilings, and stairs were milled directly from trees removed from the site. 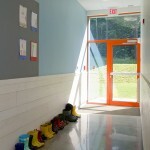 24-foot long, 12″ wide board were used throughout. All development was kept as close to the road as possible, preserving the remainder of 25 acres. Trees were surgically removed adjacent to the stream to the south,, with live coordination with DEP in response to solar pathfinder results. 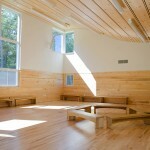 The building’s orientation allows for direct solar gain in most occupied rooms. 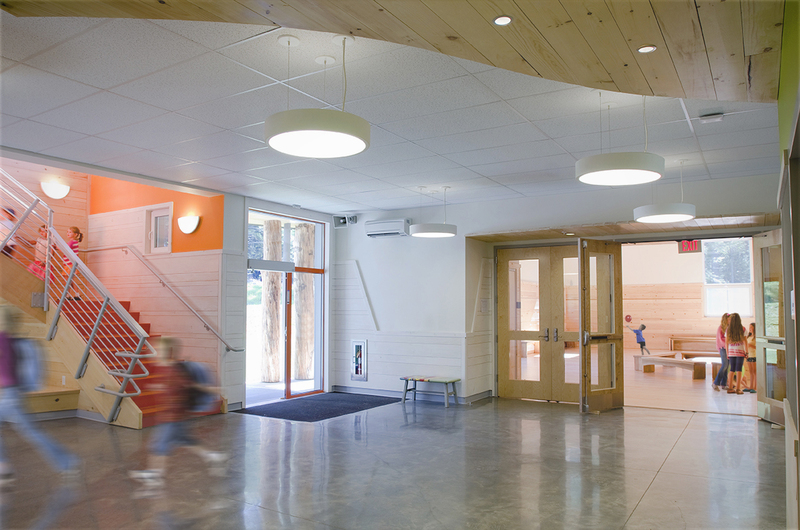 PHPP showed that additional shading devices were not advantageous given heat gain required. 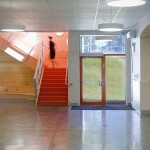 The building’s orientation allows for cross ventilation in most classrooms and venting windows throughout. The Big Room has a 3-panel folding door to allow a tremendous connection with the outdoors when the weather allows. 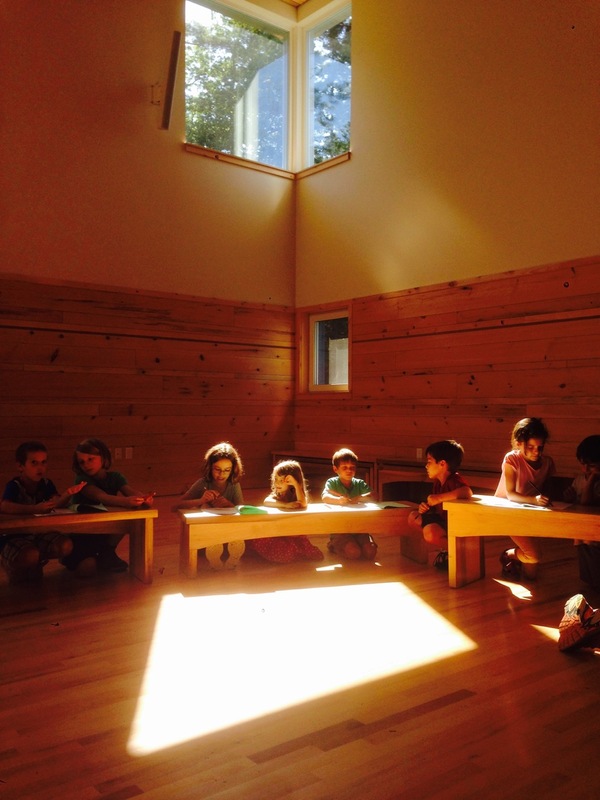 The largest windows in each classrooms operate as tilt-turns to allow for modulated ventilation. Fixtures are low flow throughout. Water is managed, but expressed through drainage channels at the base of the play hill. 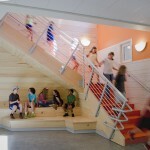 The Passive House design reduced energy use by 90% of a typical school. 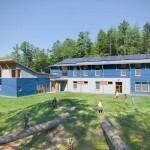 The net zero energy design’s primary impetus was to give the future school a gift of zero utilities costs, thus reducing the endowment required dramatically. 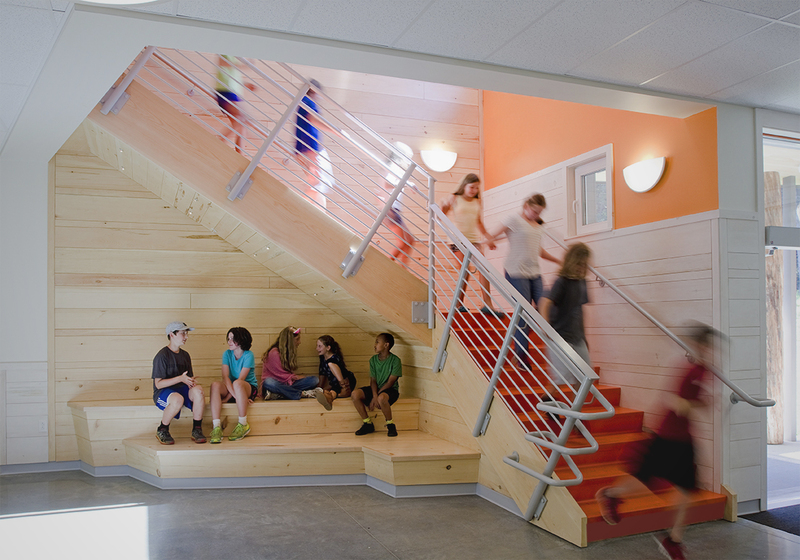 Panelization was used to reduced waste and site impact. 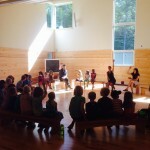 Non-toxic and natural materials were used throughout. Cellulose, EPS and mineral wool insulation were used instead of XPS, spray foams and fiberglass. 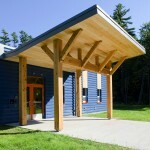 Exterior materials were chosen for either natural were or minimal/no maintenance. 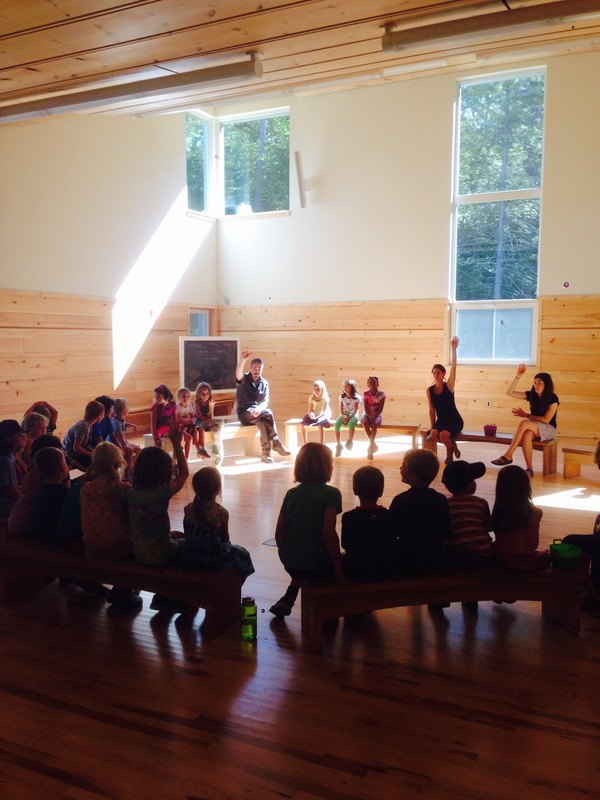 A future gym and classrooms were pre-designed to allow them to be net-zero as well and work with existing drainage patterns. Energy production and building energy usage is seen live through an interactive screen in the lobby. 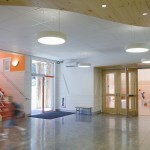 The school is monitoring monthly energy use.